Following the first film screenings in London 21st February 1896, commercial activity quickly developed and film shows soon spread rapidly across the country becoming a popular feature of fairgrounds. Doncaster cinemas soon evolved from these when local fairground showmen and cinema pioneers gave the first film shows. This sequence of short films lasting only two or three minutes each, included ‘The Arrival of the Paris Express’ the public was immediately won over, the film, in which an express train charged into the centre of the film frame and seemingly straight into the audience allegedly prompted screams of excitement and alarm. The ‘Bijou Picture Palace’ opened on Christmas Eve 1909 in Dolphin Chambers Market Place. The age of the Penny Gaffs had to close, after a series of disastrous fires throughout the country, the Cinematograph Act of 1909 (effective from 1910) In order to enforce this each cinema had to be inspected and licensed by the local authority was passed and closed these temporary and sometimes notoriously dangerous premises. In 1911 the demand for cinema was rewarded by the first purpose built picture house. ‘The Electra Palace’ in Frenchgate, on the site of Jackson’s Temperance Hotel. It had 630 seats and was owned by the Doncaster Electric Theatre Co Ltd.
On Monday, September 28th, 1914, came the official opening of the ‘Picture House’ in High Street a venture of Mr. A. L. Rhodes, designed by the architect E. H. Walker and was formally opened by the Mayor of Doncaster Councillor Patrick Stirling, during that afternoon. The auditorium seated 1,000 it had Egyptian-style detailing, tea lounges were in a separate interior, the Cafe-de-Luxe overlooking the High Street was also open to the public. Cloakrooms were provided for its patrons, and a public telephone was also installed. The ‘Subscription Rooms’ opposite the end of Scot Lane, became the ‘Cinema House’ in 1919 when it was opened by Mr A L Rhodes on Thursday 11th December with Mary Pickford in ‘Eagle’s Mate’ and William Russell in ‘Hobbs in a Hurry’. 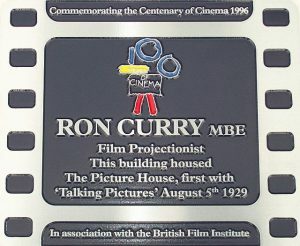 The Cinema House was intended by Mr Rhodes as a temporary picture house pending his development of the whole site between the Danum Hotel and the Mansion House as a cinema. In 1920, the conversion of the 2,030 seat ‘Palace Theatre’ in Silver Street was followed by the ‘South Parade Cinema’ built in Hallgate in 1920. It was restyled the ‘Majestic’ in 1922, at a time when the industry was just emerging from its infancy, In 1928 it was purchased by Provincial Cinematograph Theatres, which amalgamated into the Gaumont British Cinema Circuit. The first suburban cinema was the Balby Cinema which opened 5th September 1921 with 720 seats. In 1922 the ‘Arcadia’ opened in Waterdale, originally built for the use of straight plays, variety and revue, but in 1931 it was converted into a cinema with 789 seats. The 1,132-seat Picture House was eventually taken over by the Associated British Cinema Corporation in 1927. 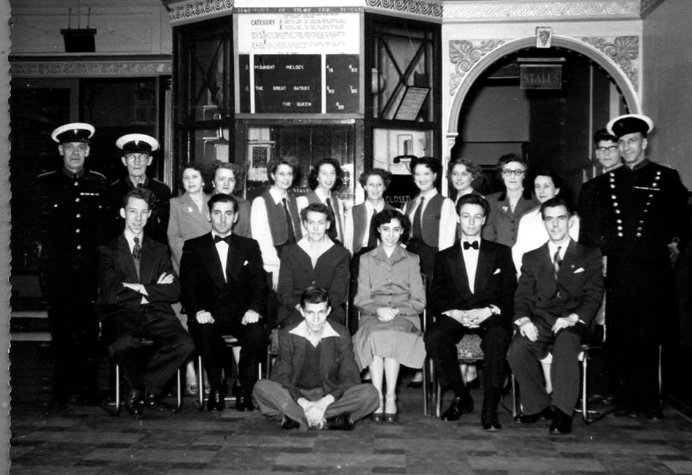 The ABC company formed the first major Saturday morning club for children called ‘The ABC Minors’ an example all cinemas were soon to follow. ‘Talking Pictures’ arrived in Doncaster on August 5th, 1929 when Al Jolson surprised the audience with “Sonny Boy”. The Picture House was the first cinema presenting (as it claimed) The World’s Finest Talking Pictures. When the queues for ‘The Singing Fool’ formed along High Street and down into Scot Lane and Baxtergate, queues like those ensured that talking pictures were in Doncaster to stay. The towns other cinemas rushed to follow their competitors example. It was also realized very early on if the public was to be held by this new medium of entertainment once the novelty had passed, much improvement would have to be made in the presentation, films being shown only in black and white, would also have to change. Plans for the Gaumont Palace dating from June 20, 1933 and through until October 24th, 1933, show numerous changes in planning, surveys of sites, including properties at 35-36 Hall Gate and Thorne Road relating to the proposed new cinema for the Majestic Doncaster Company Limited. The 2,020 seat Gaumont Palace had a grand opening ceremony on Monday 3rd September 1934. Seated at the Palace equipped Wonder Compton organ was Mr Hebron Morland who played selections from Gilbert and Sullivan. The theatre was almost steel framed with skilful blending of the brick and stonework contrasting with the black base of the front section of the building, greatly increased by the fine sculptured frieze over the front entrance. This frieze was the work of Mr Newbury A. Trent, and depicted the story of film, from its conception by the author, the writing of the scenario, the building of the set, and lastly the shooting of the film. The official opening of the Ritz Super Cinema on Monday 26th November, 1934 at 2pm, was performed by His Worship The Mayor of Doncaster, Councillor H. H. Bone. All the proceeds of the matinee performance were given to Doncaster Royal Infirmary, the music for the opening was supplied by Markham Main Colliery Prize Band. The films were ‘Murder at the Vanities’ starring Randolph Scott, together with the ” Paramount Sound News”. Realising that an up to date cinema was required for the population of Bentley district, the Ritz owners decided to build one on the Town End estate. The 1,000 – seat Don was opened on Thursday 17th August, 1939 by Mr. Lewis Massarella. The film was ‘The Citadel’ starring Robert Donat and Rosalind Russell. The Don Cinema closed on 30th January 1965, to become the Don Bingo and Social Club. The Oscar Deutsch publicity team claimed Odeon stood for “Oscar Deutsch Entertains Our Nation” and after the transformation of the former Ritz including the arcade of shops which flanked the theatres entrance. The ‘Odeon’ sign lit up in Doncaster on Tuesday 24th May 1955. It was an historic moment in the civic, social and entertainment life of the town. With both a Rank Organisation Odeon and Gaumont then at their service, the people of Doncaster could look forward to seeing the pick of the world’s finest films. A particular feature in the new Odeon foyer was a curtained enclosure between the twin entrances to the stalls making it an attractive setting and to show that the J. Arthur Rank Organisation was taking immense pride in its new Doncaster theatre, the enclosure was dominated by a large metal replica of the Rank symbol – the world-famed “Man with the Gong”. The feature film at the cinema premier was ”The Country Girl’ which provided three remarkable moving performances by Bing Crosby, Grace Kelly and William Holden, also shown was ‘Peace and Plenty’, a Swiss Travel film. At its opening on Thursday May 18th 1967, the new ABC Cinema was hailed as a splendid addition to the town’s amenities and was looking forward to films of high entertainment value, of which the opening production ‘Doctor Zhivago’ in the new ratio 70mm, with six track stereophonic sound – was such a fine example. The spacious projection room was designed to ensure ease of operation from all aspects of good picture presentation. All the equipment was under constant surveillance by the team of projectionists, the ABC Picture House had been a valuable source for the supply of the experienced projection team for the new theatre, Mr Brian Wordsworth, Mr Vince Rodgers, Mr Malcolm Wallace, and Mr Ian Cartwright. The Gaumont was to have another major grand opening ceremony and received a new look going through major modernisation costing £80,000. The grand re-opening ceremony August 1st 1968 was one of great pomp, for after the Hatfield Colliery Band had marched up Hallgate and down the aisle playing 76 Trombones and Danny Dahenie and his Hawaiian Music and Hawaiian Lovelies had finished their entertainment, the first 70mm film screened in the Gaumont cinema, ‘Doctor Dolittle’ was shown to a captivated audience. Technically, the Gaumont was then as good as any cinema in London’s West End. On 8th April 1973, the Gaumont was converted internally, the original auditorium space was compromised by the insertion of two extra screen to provide the three smaller theatres in one unit, offering three entirely different programmes from which the cinema-goer could choose. The once familiar Gaumont name became Odeon on the 20th January 1987. the Odeon closed on 7th July 1973. Soon after, demolition was begun and the site is now an NCP car park. The now re-branded Cannon Cinema closed on 18th June 1992 and in a farewell gesture ‘Doctor Zhivago’ was screened again. Today it stands stripped out, abandoned and neglected. On Wednesday 12th February 1992 an invitation requested the pleasure of my company from Mr. Salah M. Hassanein then the President of Warner Bros International Theatres Inc, to a Press Breakfast to mark the official opening of the new Multiplex Cinema at the Doncaster Leisure Park. During his introduction Mr. Hassanein said he took pride in this opportunity to introduce an exciting new theatrical experience to the people of Doncaster as well as the wider community, with the opening of this Warner’s Multiplex Cinema. The ribbon cutting ceremony was performed by Julie Walters and Bugs Bunny “I hate that rabbit”. Warner’s Multiplex Cinema became Warner Village Cinema in November 1996, a joint venture between Warner Bros International Theatres and Village Roadshow Australia. 1996 was the Year of the Cinema in Britain, and was celebrated across the country. But centenaries come and centenaries go, to ensure that the people and places that made significant contributions to British cinema history, and the Centenary itself was not forgotten, Cinema 100 Commemorative Plaques produced in association with the British Film Institute have gone up in appropriate places across the land. Doncaster was awarded a plaque and can be seen on High Street and gives a brief inscription of the recipient and the reason for the plaque. On 13th May 2003, SBC International Cinemas, backed by Legal and General Ventures and Clarity Partners, announced its £250m acquisition of the Warner Village circuit in a deal that saw the creation of a new company and rebranding of the cinema as Vue. In the summer of 2012, Vue Cinemas began to install the Sony 4K SRX R320 digital projector, which features an intuitive 15 inch touch panel user interface, and can be controlled remotely via a networked PC and web browser. The film projectionist is now long gone, in most cases the Manager or a member of Customer Services will now start the show. On May 14th 2014, Bridgford Interiors Limited began work on the full refurbishment of the cinema. Included in the project four new auditorium in full stadium format, taking the total screens to eleven and a total seating capacity of 1,386.
service over these last 120 years, ‘The Gaumont Frieze’ being the only major surviving art work, could this be the Commemoration piece.